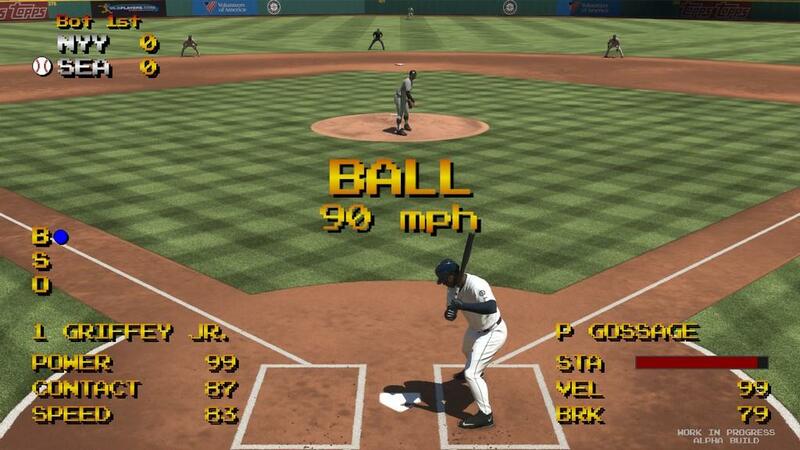 It's hard to believe that the first MLB The Show game came out eleven years ago. 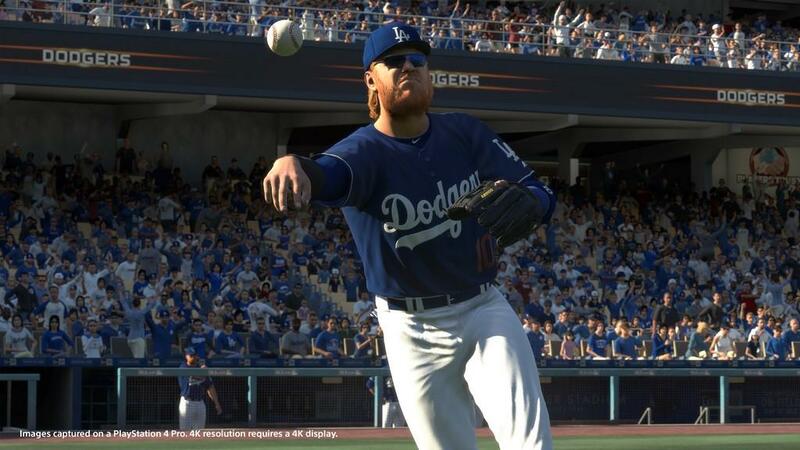 Thanks to Electronic Arts starting the series of exclusivity grabs by nabbing the Madden franchise, Sony followed suit by making sure that the only MLB game was going to be on the Sony family of consoles. To be fair, San Diego Studios, who has been the primary developer of the series, continues to do good work. However, the 2017 version of MLB The Show, while being a solid title, lacks that extra oomph it needs to make it an amazing title. Starting with the basics, the newest features are centered around the players themselves. Officially called player "quirks", these stat boosters are essentially catch-all boosts that focus on specific player skills. There are 40 quirks possible with a great mixture between pitchers and hitters. Each boost is pretty straight forward when it comes to what it boosts. For example, a pitcher with the Cheesy quirk has an exceptional fastball. A hitter might counter that by earning the Dead Red quirk that means they are fantastic at hitting fastballs. The quirks all have fun names based off of general baseball terms, and players can earn multiple boosters and aren't just limited to one. This element of the game means building a team and finding the right boosts in the right spots can mean turning a good team into a great one. 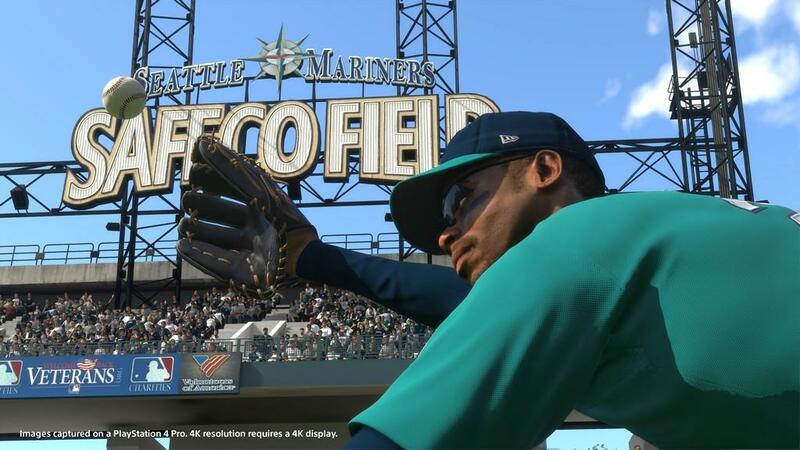 The other big feature change is the difference in the ever-popular Road to the Show mode. The single-player focused mode is now more of a documentary than just going through the motions and figuring out where to put your hard-earned training points. The mode starts a player off at the pre-draft camp after deciding what position to play. If opting for a fielder, the player will have to choose one of the eight spots in the field, their strong arm, and hitting style. Choosing a pitcher means either going with a starting role or a closing role, though it takes a long time to convince an MLB team that you're more than a middle reliever. Depending on the position chosen for the player, they will get to show off their skills in one way or another. A fielder will have to show that they can play their position as well as hit the ball at the plate. A pitcher will focus on pinpoint control by going through a series of deliveries with all three of their default pitch selections. After going through these drills, the player will have the option of playing in some exhibition games to improve their draft status. Most of the time, a player is going to get drafted in the first three rounds with a baseline overall rating around 50. As usual, you aren't going to the show right away: You have to earn it in the minors. The new element of the mode truly comes into play when it's time to make decisions. The perfect example is when the player gets drafted. After being selected, the GM for that team is going to call the player and find out the level of excitement. Your answers will determine whether or not the team is going to attempt to sign your player because you can still go off to college for one to four years. The GM can get downright nasty if you play your cards wrong (or right, if you really don't want to play for, say, the Marlins) and yell at you saying they'll never draft you again. 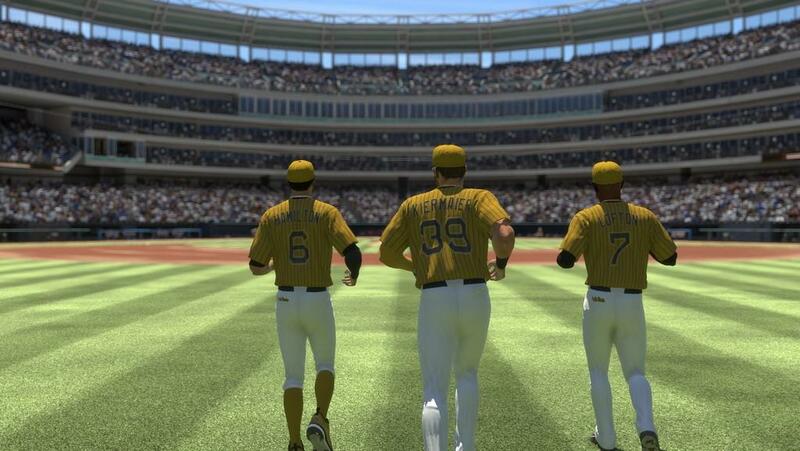 Throughout RTTS, these decisions will result in anything from a positional change to being put on the trade block. Midway through my closing pitcher's run through the minors, the manager pulled my player into a meeting and said he wanted to try out being a starter with my guy. I answered about as lukewarmly as possible, basically saying I'm a closer and don't want anything else. The manager decided not to do it, but then asked just a couple of weeks later. I accepted, played a few games at starter, then got the option of either making the switch full time or returning to relieving. I opted for going back to a reliever as I wanted to get to the majors as fast as possible. The problem with this documentary addition is that, while early on the decisions can make a big difference, all it does is switch the player decisions from a simple menu to putting it in story form. I can't just randomly say that I want a trade out of my current club and to another one. I now have to wait for my agent to call me and check up to see how things are going, and that is a complete toss up as to when it happens. Getting to the gameplay, I'm impressed with the slight changes to the little things such as ball physics and player reactions. Everything seems more natural this time around and the balls aren't taking stupid bounces that defy gravity on a regular basis. 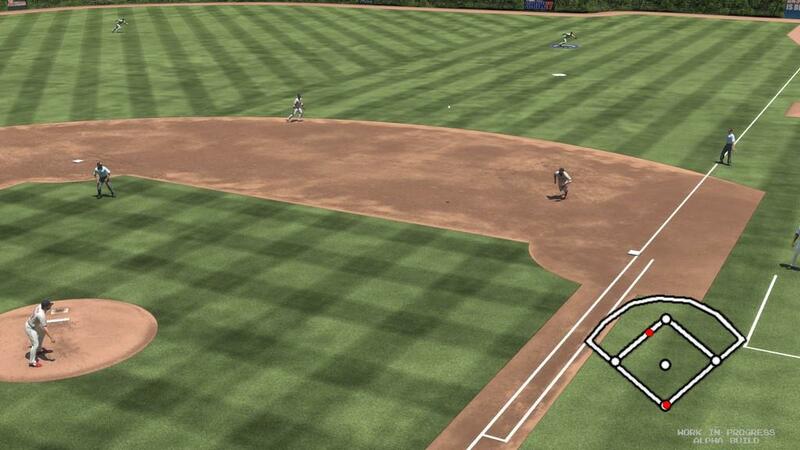 I still have an issue with the lackadaisical approach the AI has in RTTS mode when I'm pitching. It seems like every single infielder things that the runner is a slowpoke and has their 40 yard dash timed by a sundial, especially with third basemen and shortstops. The minor league years sees far too many infield hits when they should be simple 5-3 or 6-3 putouts at first. I get that it's the minors, but nobody screws up simple plays that often in the minors, I don't care how bad they are. The game itself still has the realest feel of just about any sports franchise out there, though I still think it falls behind the FIFA series for atmosphere. I feel like the crowd responds properly to the magnitude of each at-bat, whether it's just the opening of a middle inning or we've hit the bottom of the ninth and it's a one run game. Player reactions to the victories are cool at first, but get repetitive quickly. Also, I really don't like that the managers of these teams are, mostly, just throwaway generic NPCs. Let's at least make an effort next time to have accurate managers. I'm fine with the bench coaches and such being generic, but the main ones in charge should be there. Franchise Mode is still there, and it's still fun, but let's be honest: Trying to get through this mode in a 162 game season feels like waiting for the Andromeda Galaxy to collide with us. 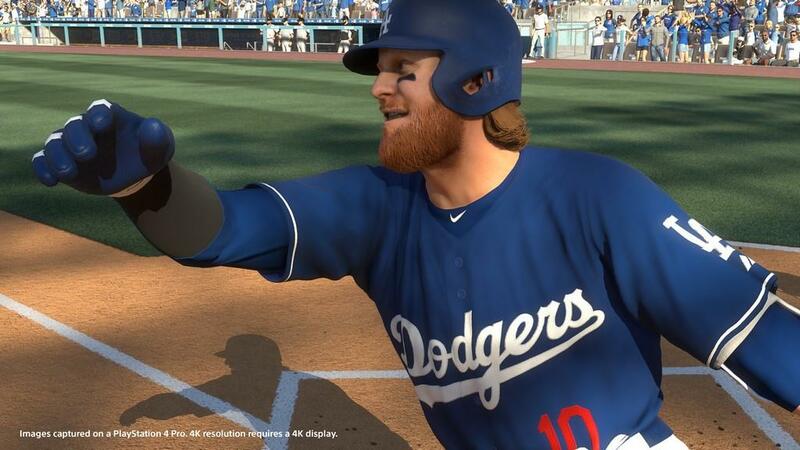 It just takes way too long to finish and, unless you're a franchise mode junkie, gets stale fast. Thankfully, there's the Quick Manage option! This time around, if you really love the simulation of running the franchise, this mode feels a lot like Football Manager on the PC. Each jump into Quick Manage takes about 5-10 minutes to complete a game and there's never a moment where you aren't in charge. Choosing to swing away, sacrifice, play a bunt, or stealing can all be done quickly with a simple selection. This is a great addition for when trying to play every single game gets old after the first few days. There's a lot to like this time around with The Show, and while I enjoyed my time with the baseball title, I feel like the new stuff wasn't enough to put me over the top in saying that it's better than the past couple of years. Even with the little changes in physics and such, I still had some of the same problems in past titles. 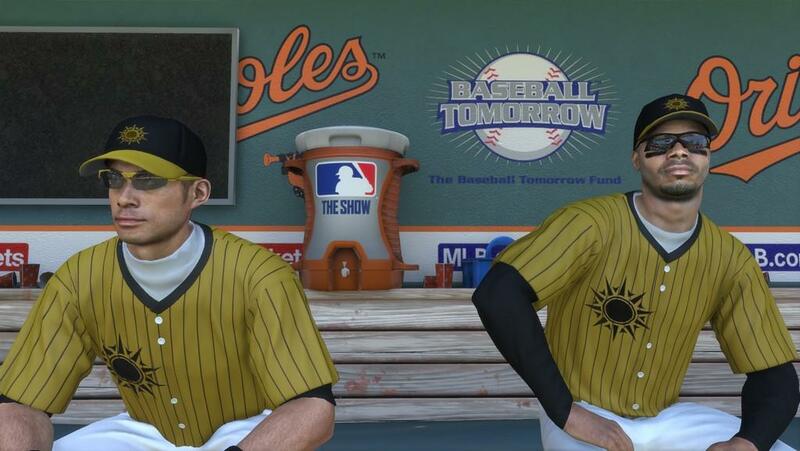 The documentary spin on RTTS is fun and makes it a bit more interesting to play, but it doesn't really add anything to the final product other than switch how decisions are made for the player. Online is still fun, but not much has changed there either. Don't let this deter you, however: The game is still quite enjoyable and, especially if you're a newcomer to the series, is well worth picking it up. For the veterans of the series, there isn't too much here that will look different in the past couple of years, but the game is still worth the buy. Changes in physics and AI make the game more realistic and enjoyable, but there are still some issues with AI player decision making that can detract from the final product. Road to the Show mode is still fun with a new documentary twist, but it's ultimately the same mode as last year. 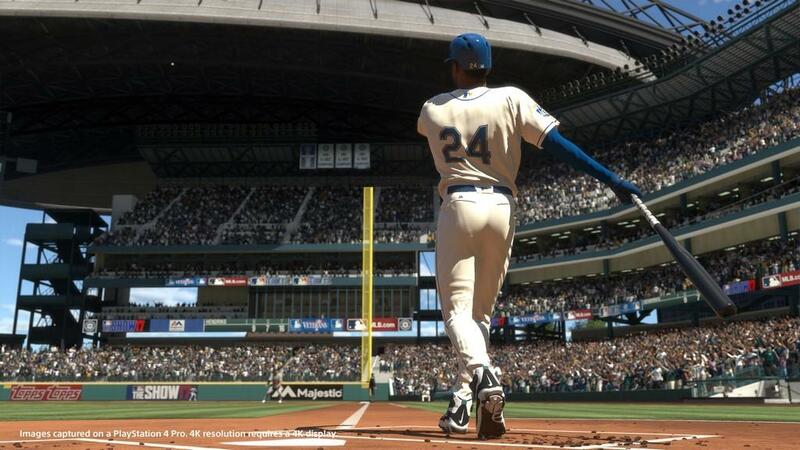 The Show 17 is a good title for baseball fans new and old, but don't expect anything mind blowing this time around.